Peaceful Backyard Oasis & Walking Distance to The Avenue! Welcome home to your peaceful oasis. This Warwick Village stunner has been opened up and renovated while retaining storage and other original features that make these homes so special. Open floor plan on main level provides plenty of room for dining and entertaining. The bright kitchen offers plenty of storage and counter space for the chef in your family. Original hardwoods throughout main and upper level are in great condition. Upper level features 3 bedrooms, all with tree-views from the windows and a full-bath with the original tile in excellent condition! Lower level features a fully-renovated family room, a luxurious, spa-like bathroom, and two large storage closets. Most of the hard work has been done for you, including new roof (2015), new Lenox AC (2016), and Basement/Kitchen remodels in 2017-2018. Please see Documents Page for the complete list of updates! 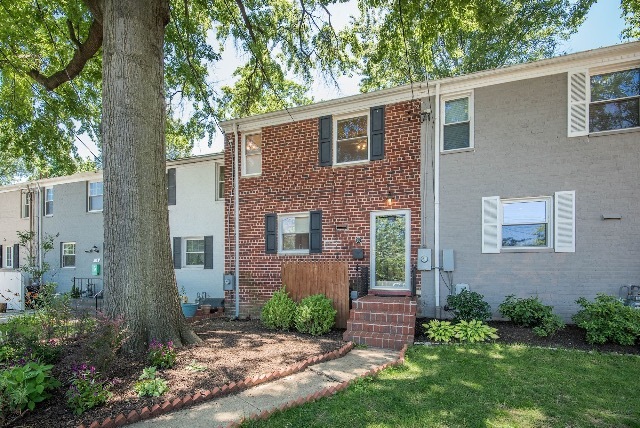 This home is sited on a hilltop, backs to Timberland Park (which makes the fenced yard feel extra private and peaceful), and walkable to The Avenue (featuring all the restaurants, coffee shops, and shopping of lovable Del Ray). Additional location benefits include new Sprayground at nearby Colosanto Park, the recently re-vamped Warwick Village Pool, and Alexandria Library. Warwick Village and Del Ray are special communities in Alexandria which feature lots of opportunities for gathering with your neighbors, friends, and local small-business owners. 2018 Landscaped front & back, including lots of new (beautiful) plants!